“I’ll go and I’ll go take $10 billion off your client’s market cap. But I’m not f***ing around,” he said, according to prosecutors. 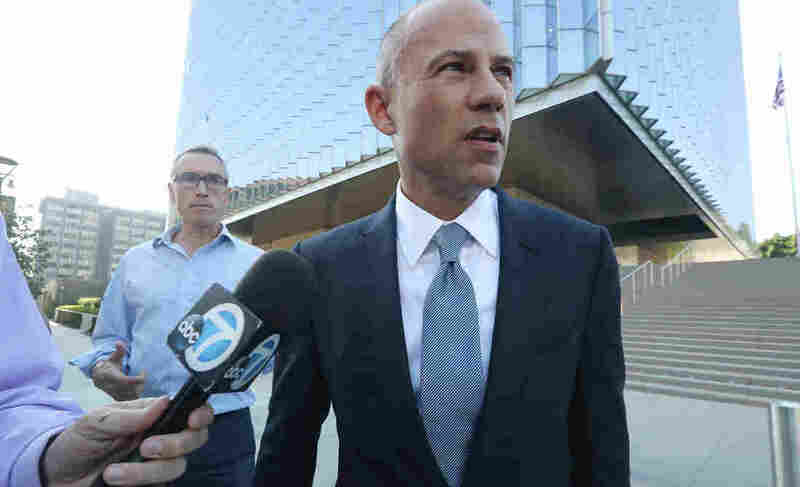 Avenatti also targeted Trump’s former personal lawyer Michael Cohen, who has admitted to arranging a scheme in which Daniels was paid ahead of Election Day 2016 to keep quiet. Daniels was one of two women whom Cohen arranged to be paid at that time to minimize political problems for Trump, Cohen has since acknowledged. Trump has acknowledged the payment to Daniels but denies the underlying allegations about a sexual relationship. But it wasn’t only in that case that Avenatti sought to cause problems for the president. Avenatti also alleged that Cohen had been reimbursed by a powerful Russian for the payment to Daniels — which became part of revelations about Cohen’s de facto lobbying business, in which he sought to sell access to Trump during the president’s first year in office. And Avenatti said he had a client who could corroborate allegations about Trump’s second nominee for the Supreme Court, Justice Brett Kavanaugh, although her charges were never substantiated.